Sharon is a healthcare services executive who is currently working as an advisor to and investor in numerous healthcare start ups. She is known for her large and diverse network and willingness to help entrepreneurs make valuable connections. Sharon is not following anyone. Sharon is an innovator in consumer health with a passion for prevention and wellness. She is an investor in and active board member of several healthcare startups with a focus on technology enabled healthcare services. Sharon was President of One Medical Group where she was responsible for revenue growth and oversaw all functions of the MSO. Sharon has also served a senior executive with Electronic Arts, holding various leadership positions in both finance and global operations in the US and UK. 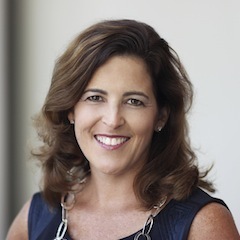 She brings to healthcare a broad consumer perspective from her time with EA, Gap and PepsiCo. Sharon holds a MBA from Northwestern University and a BA from Smith College. Sharon became a competition judge for the Vator Splash Health 2015 competition.